"The Government of Canada recognizes that all forms of asbestos fibres are carcinogenic." Canada’s failure to ban asbestos and the continuing promotion of its mined asbestos to the developing world–particularly India, Canada’s largest market, where asbestos cannot be legally mined but is used extensively in the production of cement. 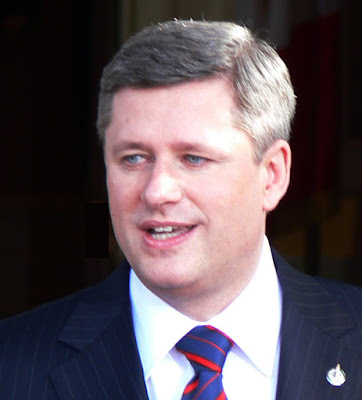 It is high time Stephen Harper, Prime Minister, Canada desisted from the practicing active promotion of the export of asbestos in India and banned asbestos. The deafening silence of Stephen Harper and Canadian House of Commons is killing the workers and consumers in India. Government of Canada should introduce legislation to ban the use and export of asbestos, support the listing of chrysotile asbestos under the Rotterdam Convention and stop funding the Asbestos Institute (renamed the Chrysotile Institute). Elizabeth May, Leader of the Green Party is taking its toll. To refer to their acts of omission and commission as barbaric is an understatement. Inhaling asbestos fibers, which easily become airborne when a product is worn or disturbed, can cause mesothelioma–a painful cancer that attacks the lining of the lungs, abdomen or heart–as well as asbestosis, lung cancer and various other cancers. According to World Health Organization estimates, asbestos is responsible for approximately half of all occupationally-related deaths from cancer, or at least 90,000 deaths every year. While 40 countries have banned the use of asbestos in response to this health crisis, Canada has not. Canada, through its two active asbestos mines in Quebec, remains one of the world’s biggest providers of raw asbestos, a $93 million per year business. And the Canadian government spends large sums of money to promote the use of asbestos in its remaining markets, even calling on diplomatic staff to guard against asbestos bans in the approximately 70 countries that still buy asbestos from Canada. The Canadian government says that the asbestos industry has agreed to sell only to countries that use the same safety measures that Canada uses to protect workers, but in India, which takes about one fourth of Canada’s asbestos, workers can be found handling asbestos with no protection at all, wearing only shorts, T-shirts and flip-flops. One published study in India estimated that about 100,000 workers there are exposed to asbestos, and a study of asbestos-exposed factory workers found that 22 percent has asbestosis–which signals significant exposure over an extended period. India started using asbestos extensively in the 1980s, as usage in the United States and other Western countries began to decline. Because of the latency period between exposure and the appearance of disease, India has an asbestos-related cancer epidemic in its future, one that it is certainly not prepared for. Martin Mittelstaedt who writes for The Globe and Mail says, Canada must bear some responsibility for the coming epidemic. Before asbestos became feared as one of the most powerful cancer-causing agents ever used, it was heralded as the "magic mineral." In an age of impermanence, asbestos offered durability. While it had the texture of wool, it didn't burn and was incredibly resistant to decay. That is why it was once used in thousands of products, everything from car brake pads to insulation on some of the giant steel girders holding up the World Trade Center. 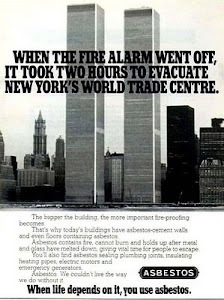 But asbestos has a big problem. When used, it promiscuously sheds tiny dust fibres. Once inhaled, the fibres become tangled in lung tissues, where they wreak havoc — typically lung cancer, asbestosis and mesothelioma, a rare, painful and almost always fatal cancer of the lining of the chest wall. The unfortunate drawback of killing large numbers of people has led more than 40 countries, a who's who of advanced industrialized nations, to outlaw asbestos use. But Canada isn't among them. Since it's a carcinogen, Canadians don't use much of it any more. Even the asbestos in the Parliament Buildings is being removed. But the country remains one of the world's biggest purveyors of the deadly mineral, selling abroad 95 per cent of the output from the country's two remaining mines, both in Quebec, a business worth about $93-million a year. Most asbestos used in developing countries is added to cement (at a rate of one part asbestos to about 10 parts of cement) to add durability to water pipes and the ubiquitous corrugated roofing that is a familiar sight in shantytowns around the Third World. India alone has about 50 plants making asbestos cement destined for homes and other buildings. 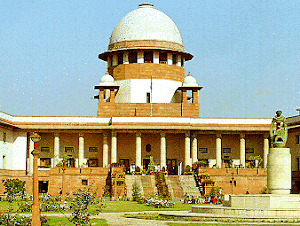 Asbestos cannot be mined legally in India, so it imports what it uses from countries such as Canada. Cement is the end use of practically all Canadian exports — more than 93 per cent, according to the federal government. It's not just that Canada is home to companies that sell asbestos abroad. The federal and Quebec governments actively promote it, spending tens of millions since 1984 to encourage the remaining markets, mainly in developing countries. Ottawa has even mobilized Canadian diplomatic staff, from Jakarta to Washington, as recently as last summer, to stand on guard against asbestos bans in the roughly 70 countries that still buy it from Canada. Natural Resources Canada is the lead federal department dealing with asbestos. It declined a request from The Globe and Mail to interview officials about Canada's asbestos policy, but agreed to answer written questions. "Canada has long advocated, at home and abroad, a responsible, controlled use approach for chrysotile asbestos," the department said, although it added that "the implementation of domestic measures to ensure workplace health and safety is a sovereign responsibility of importing countries." The response sidestepped questions about whether promoting asbestos abroad is a good use of taxpayers' money and whether it is done to protect federalism in Quebec. The government insists that foreigners can and do use asbestos safely, because Canadian companies would sell it only to those that implement Canadian-style safeguards: "The Canadian chrysotile industry has agreed not to export to companies that do not use chrysotile in a manner that is consistent with Canada's controlled-use approach." The biggest purchaser, taking about a quarter of Canada's output, is India, where it's easy to find workers using one of the most dangerous materials in the world clad only in T-shirts, shorts and flip-flops. Animal experiments conducted in the mid-1970s, when the material was still widely used in Canada, found that as little as one day's exposure was enough to induce cancer in the laboratory. Even though the federal government says today's Canadian asbestos doesn't pack the same killing punch of other varieties, the World Health Organization says all types — including chrysotile asbestos, the only type now mined in Canada and worldwide — cause cancer. The WHO says thousands of other people die each year after unknowingly come into contact with asbestos dust. The dust is such an efficient inducer of cancer, no known safe exposure level exists: "Bearing in mind that there is no evidence for a threshold for the carcinogenic effects of asbestos … the most efficient way to eliminate asbestos-related diseases is to stop using all types of asbestos." The United Nations agency cites as a particular concern the continued use of asbestos cement in the construction industry because "the work force is large, it is difficult to control exposure, and in-place materials have the potential to deteriorate and pose a risk to those carrying out alterations, maintenance and demolition." It isn't often that Canada is totally at odds with a UN agency, but it is on asbestos. "The Government of Canada is of the view that the health risks of chrysotile can be managed if regulations, programs and practices equivalent to Canada's are in place to limit exposures to airborne fibres and that the risks would be no greater than posed by other occupational activities," the government said earlier this year in a statement issued by Peter MacKay, then foreign affairs minister. In an interview, Mr. Boyd said he feels that Canada's continuing export of "a deadly substance with profound public health impacts" is "unethical and immoral," but based on a desire of governments to win votes in Quebec. "It's the old conundrum where we've got an industry that's centred in Quebec and the federal government is always walking on pins and needles when it comes to dealing with issues that threaten the loss of votes or seats in Quebec," he said. In the statement, Ottawa said it doesn't verify whether buyers follow Canadian-style rules when using asbestos, arguing that seeking such information would violate foreign sovereignty. About 75 per cent of Canadian asbestos is shipped to Asia, where, along with India, the biggest customers are Indonesia, South Korea, Sri Lanka and Thailand. Many health experts consider it laughable to say that workers in poor countries use asbestos with the same care that is taken in Canada. Ontario's asbestos regulations run seven pages, and their requirement for sophisticated dust-control equipment — and decades of medical monitoring including chest X-rays for those exposed — are unlikely to be followed in poor countries. "Anyone who says there's controlled use of asbestos in the Third World is either a liar or a fool," says Barry Castleman, a consultant who helped to advise Europeans in 2000 on Canada's unsuccessful attempt to overturn a French ban on Canadian asbestos. According to a published estimate in India, about 100,000 workers are exposed to asbestos. Fewer than 30 people have ever been formally compensated for asbestos-related diseases, a figure that is unlikely to reflect the true extent of the illness burden. A 2005 study of a group of exposed factory workers found that 22 per cent had asbestosis, although the industry has published figures claiming that none of its workers have developed the disease from the mineral. 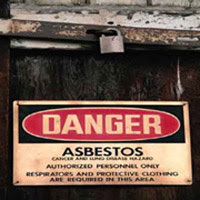 In July, the Canadian embassy in Washington sent a letter to the U.S. Senate, which was considering an asbestos ban. The letter conceded that "all forms of asbestos fibres, including chrysotile, are carcinogenic," but it maintained that its use can be safe if proper precautions are followed. 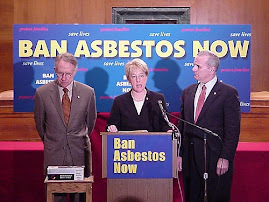 The Senate ignored the advice and voted unanimously this month to ban asbestos. Last year, Canada was more successful, scuttling an effort by the UN's Rotterdam Convention to have chrysotile added to the list of materials that are so dangerous that countries need to approve imports in advance, as a sign that they know what they are getting into. Canada allied itself with pariahs such as Iran and Zimbabwe to defeat the listing. Despite these occasional successes, the federal government's aid probably will not avert the eventual death of the Canadian asbestos-mining industry. With the fall of communism, Russia and Kazakhstan have emerged as low-cost producers, taking away business from Canada. And because of health worries, the Canadian industry's output is about one-third of what it was in the 1980s. This summer, one of Quebec's producers, LAB Chrysotile Inc., filed a notice advising that it would seek bankruptcy protection. Children at St. Louis public school chased each other around the schoolyard yesterday, climbing the play structures and panting happily in the cool late morning air. Towering behind them just a few blocks away, a massive, steel-grey "tailing pile" of residue from asbestos mines jutted severely into the November sky. "That's what we call an asbestos dump," a schoolyard monitor said, laughing. Like so many people in Thetford Mines, she didn't want to give her name when it came to talking about the health risks of exposure to asbestos, the cancer-causing fibrous mineral that has been mined here for 130 years. The issue is just too political, she said. Nobody notices the tailing piles anymore, she added. She grew up with them as part of the landscape, just as the kids at play. This week, a study in a prestigious U.S. scientific journal claimed that some homes in Thetford Mines are severely contaminated by asbestos. The woman shrugged. "It doesn't bother me. I'm not worried about it at all. A lot of people around here live to be 80, 90, 100 years old, and now they're coming up with this? "I've never heard of people dying because of the air in their homes." That's the attitude of most folks you run into in Thetford Mines. This town was founded on, named after and built around its asbestos mines. Yet townspeople here have learned not to use the word "asbestos" - and generally will correct you if you do. The type of asbestos mined in Thetford Mines, called chrysotile, is not as deadly as its cousin amphibole, which is now banned for use in Canada and the United States. But chrysotile is nonetheless a known carcinogen. The authors of the study published in the International Journal of Occupational and Environmental Health are members of a group called the Asbestos Victims Association of Quebec, an affiliation that makes some in this town skeptical of its results. The air, dust and soil samples were taken by a certified industrial hygienist and analyzed by an independent, recognized laboratory. The study was peer reviewed, edited and verified before it was accepted for publication, publisher Sandra Lovegrove said in an interview. Still, some people here are put off by the fact that the authors are from AVAQ. "Those people who had their houses tested are just whiners, looking for compensation," said Claude Marois, a retired miner who spent 38 years in Thetford Mines' Bell mine. "We made a very good living in the mines, and I don't regret it for a minute." Several of his buddies gathered at a Tim Hortons nodded in agreement. One said he wishes people would stop harping on the health risks of asbestos. "It's paranoia. It's just like with smoking. I know lots of people who smoke and live to be 80 or 90 years old." "Now people are saying three quarters of the houses here are contaminated," said another retired miner at the table. "That kind of talk is not great for the region, I'll tell you that." Marois is among many Thetford Mines residents who have used residue from the mines for landscape work around his house. The mining residue "was free, and you just cover it with a few inches of dirt and some grass, and you don't have to worry about (the asbestos)" he said. Some of his former co-workers have died of asbestos-related illnesses, but Marois attributes that to a vulnerability on their part. All in all, he said, the people of Thetford Mines have had a great run on the strength of the town's asbestos mines. In the late 1970s, soon after Quebec nationalized its asbestos mines, evidence started building that the fibrous mineral - popular as insulation - caused lung cancer and other serious lung ailments. Now it is widely accepted asbestos exposure causes three health problems: mesothelioma (a cancer that attacks the lining of the lungs), lung cancer and asbestosis (a disease that hampers breathing). All of these diseases appear between 20 to 40 years after exposure. All types of asbestos, including chrysotile, have been associated with these illnesses. For decades, Quebec has watched its asbestos industry slowly collapse despite valiant lobbying efforts by government and the industry. Many countries, including Canada, banned asbestos for use in insulation and spent millions to remove it from schools and other public buildings. The market for asbestos shifted to developing countries, and today most of the asbestos mined in Thetford Mines goes to Southeast Asia, the Middle East and South and Central America. In 1992, Quebec announced a policy to promote the use of chrysotile by government departments and municipalities in new construction. As part of that pro-chrysotile policy, Quebec's Environment Department commissioned a number of studies hoping to demonstrate the relative safety of chrysotile. One was trotted out this week, in response to the study published in the International Journal of Occupational and Environmental Health. The government study looked at air samples taken in 2004, and concluded it presents no environmental risk. Thetford Mines Mayor Luc Berthold immediately issued a news release. "This study is much more serious and credible than the one published (earlier) this week," Berthold said. "Here we are talking about scientists using rigorous methods to produce a real report and not some kind of association of people who took almost four years to find an American review that wanted to publish their pseudo study." But an author of the AVAQ report, William Charney, said the methods used in the government study are questionable - and the levels it claims to have found should actually raise concerns. Charney, a former industrial hygienist and safety engineer, said the government's method does not differentiate between asbestos fibres and other types of fibres, and does not pick up the finest fibres, which are the most dangerous, he said. 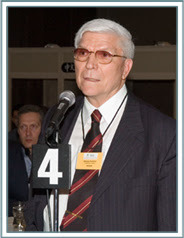 He noted the AVAQ study used standards set by the Environmental Protection Agency when it studied asbestos contamination at Ground Zero following the terrorist attacks in New York. The Environment Department study was based on standards used by the Ontario government, which are not as strict as the EPA's. (Quebec has not set its own standards.) The asbestos content in the air in Thetford Mines - even according to the government study - is "10 times above what the EPA would consider clean," Charney said. Hervé Rousseau, 80, took a reporter and photographer on a tour of the tailing piles that have loomed across the street from his home for most of his life. He bent down and grabbed a handful of the loose rock, to show that it is not stable and harmless, as mine authorities claim. The dust whips into the air when the wind blows, he said, and although the air is not as bad as it was before the mines brought in cleaning equipment, the contaminated dust gets into houses and gardens - and lungs. Rousseau worked in a mine for seven years as a young man, and he blames his pleural plaque disease on his time in the mine and on the tailing piles. He blames his wife's death from cancer in 1985 on asbestos, and says his doctor advised him to move out of his house eight years ago because he believed it was saturated with dust. Rousseau helped start a group called the Association des victimes non-reconnues de l'amiante, because he felt it wasn't fair that only miners were being compensated when they developed asbestos-related illnesses. He believes residents are vulnerable simply by breathing the air. A study by the Institut national de santé publique du Québec found a significant increase in the incidence of mesothelioma, an asbestos-related lung disease, between 1982 and 1996. The authors singled out the Chaudière-Appalaches region, which includes Thetford Mines and other mining towns, like Asbestos, as having particularly high rates of mesothelioma. The mines now employ fewer than 700 people in this town of 26,000. Those who dare speak against the industry say it should bear some responsibility for cleaning its mess. But many of the mining companies are long gone. "The mining companies just wanted to make as much money as possible and then get out," Rousseau said. He gestured toward the tailing piles. "And we are left with this."